Cheerful Old Friends Having Fun And Drinking Draft Beer At Bar.. Stock Photo, Picture And Royalty Free Image. Image 53766757. 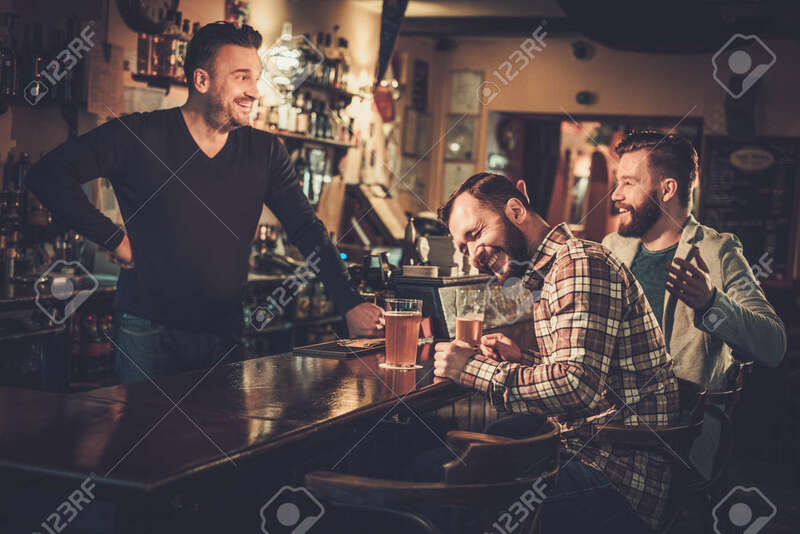 Stock Photo - Cheerful old friends having fun and drinking draft beer at bar counter in pub.